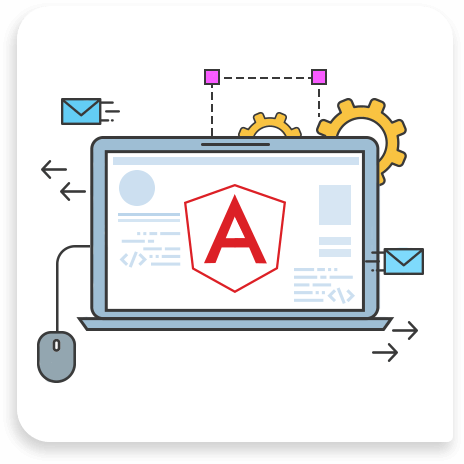 Get expert Angular Development services at AngularJS Web Application Development Company in Australia. We specialise in building interactive & data-driven web applications while working on all versions of Angular. Our Angular 2+ web applications are developed using Typescript, ES6 & RxJs etc. Using AngularJS framework, Showdown (web app) & Savvy Amigo (web) are developed by our Angular JS developers. We’ve upgraded from Angular JS to Angular 2+ that features Simpler Progressive Web Applications, Material Design, Build Optimizer, Improved Compiler & Typescript & more. With our Angular 2,3 & 4 development services & solutions, we empower businesses to deliver a better digital experience. From Users Preferences to Quality Assurance, a team of developers at ChicMic builds a hi-tech approach to create a perfect Angular JS mobile web app.